Since 1995, Nick’s Collingwood page has been witness to the many ups and downs that Collingwood has experienced in that period, from the dark years (1995 – 1999), and the period since (2000 until now) in which we have seen Collingwood grow into a formidable force, on and off the field. Nick’s page started in 1995. It was a single page that Nick (SOM – Son of Mike) used mainly to keep his footy links. It was just stored on the home computer, for his own use. Mike had a computer support business at that time and had been developing some small web sites for clients and could see the potential in the web. He needed a working site that he could use as a test bed for ideas and practice, and as we now know, Nick’s provided that. Mike once said, “both Nick and I were responsible for its inception and initial development…all those years ago, but we did that with no altruistic motive, it was done just to bring a kid in the bush a bit closer to his footy club”. Nothing more, nothing less. Nick often visited the then new official site and Magpie Magic, which was, we believe, the first footy site on the web and was put together by Driver (who now runs Buckley Surfers). So Mike suggested to Nick that he put his page on line and that they develop it together, so he did and that’s where the name came from. Initially, ‘Nick’s Collingwood Page’ was just that – a single page on the web. That was about October 95 and Nick had just turned 11. During the off-season Nick and Mike developed Nick’s Collingwood Page into a small site ready for the 96 season, and after that…it was just evolution. The first registrations (after Nick and Mike) were from Tom (hasn’t been seen since) and Charlie who still posts from time to time (especially when someone rips off his posts from elsewhere). However, Nick’s continued to grow, and as Mike comments, ‘we lost effective control of it (Nick’s) at that point to the extent that when, 2 seasons ago (2001), it got to be too much for me and I tried to close it down, it wouldn’t die. The community that is this place rose up and took control of it and it lives on today’. Nick’s remains resilient and time, and time again, remains strong, due to this community based spirit. From this point on, new development of the site took a back seat to the running of it. 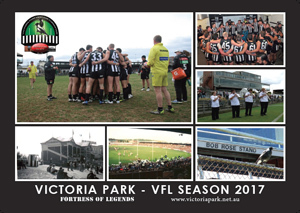 The amount of hands on involvement had grown enormously and was continuing to increase, so it became a matter of developing what we already had and keeping things current and operational, and it was only in March 2004, that we got to see a totally new revamp of Nick’s Collingwood Page (courtesy of webmaster MagpieMad – Steve). 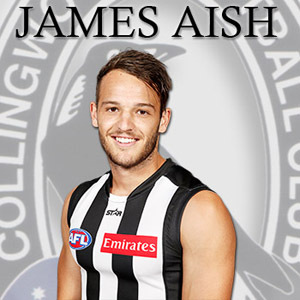 Today, Nick’s (the ‘page’ and the bulletin board) is the biggest and most used unofficial Collingwood website on the Internet. So now you know, that is where Nick’s Collingwood page came from, and consequently, where Nick’s Bulletin Board came from. If you can think of any others, please feel free to email Joel: joel@magpies.net with any initiatives that were launched by Nick’s, and it’s members. “What you have been able to do is bring so many of the magpie passions together. During the really tough years it was very hard to find that fanatical Collingwood spirit because we were getting belted at the football. But then we found it here within each other. I must admit that at times when I was feeling really low I have logged onto Nick’s and been inspired by the support and love for the club that we all share. Through these pages we have been able to reunite our cheer squad and made it the best in football again, we have been able to literally feel the joy of our team singing the song after the Port Adelaide game because the club knew you were all out there and knew you would feel part of it. Member numbers of Nick’s are always increasing, with current member totals sitting at over 1300. Also, we are currently getting at least 1500 to 3000 hits a day from over 300 unique addresses. That means that atleast 300 people look at approx. 5 – 10 pages each, each day (during the season). From there, you will be able to access previous versions of Nick’s Collingwood Page, and while exploring those sites, you are able to view the old bulletin board postings. Justifying the money and expense has always been a problem, especially seeing as though, it has kept Mike and Nick, broke enough not to be able to get to the footy often (especially living interstate). One of the ways Mike tries to help to offset the cost of running magpies.net, is by selling email addresses. If you value the site and would like to keep it up and running, you’ll support us, if not, we’re wasting our time. The email system consists of Hotmail/Yahoo type webmail accounts or alternatively we can redirect to your existing email address. The cost is be about $10-$20/year (depending on webmail/redirection) and you’ll get magpies.net email addresses for that (username@magpies.net) – your usernames on here will be reserved for your use, but you can use a different one if you prefer. Goto: http://email.magpies.net/ for more information on Magpie Mail email addresses. Nick’s is a one of a kind community, that many have tried to copy, and failed. Nick’s has created an avenue for Collingwood supporters from all walks of life, and from all over the globe, to chat and discuss the Mighty Magpies. 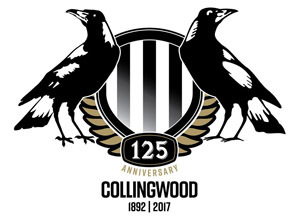 Essentially, it has enabled many of us, to live and breath Collingwood, when it would not have been otherwise possible, from the unique perspective of the fan. As Mike puts it ‘the power that is Nick’s is just us… and we are Collingwood’.